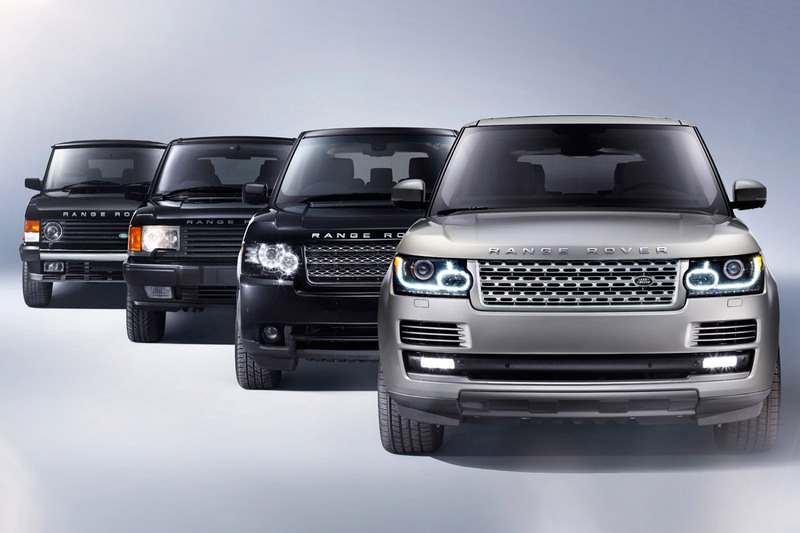 If you’re looking at the photo above, you could think that we’re about to show you a new Zenith model named “Range Rover”. Well, that isn’t exactly the case, however it’s not far besides the truth. 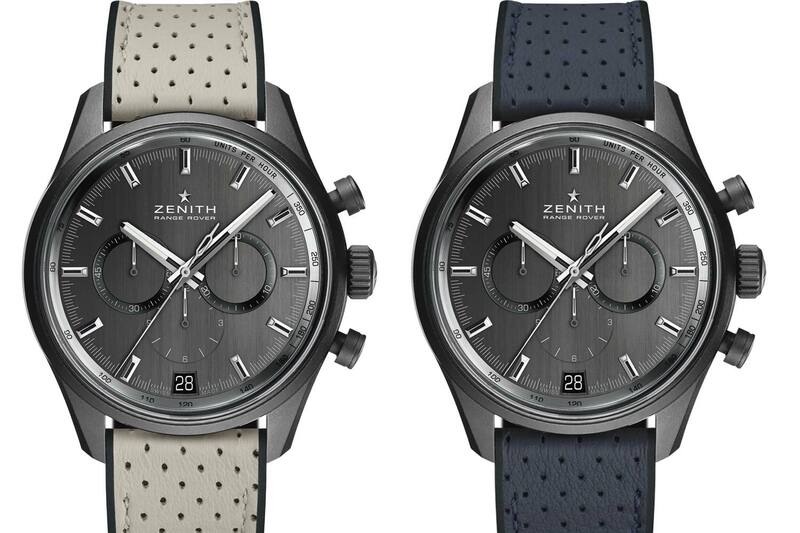 Today Zenith launches the Zenith El Primero Range Rover Special Edition, and they do that together with British car brand Land Rover (the makers of the iconic Range Rover). This Special Edition underlines the intend for a long-term partnership between both esteemed brands, and to celebrate two icons that both saw the light of day for the first time in 1969: the El Primero and the Range Rover. 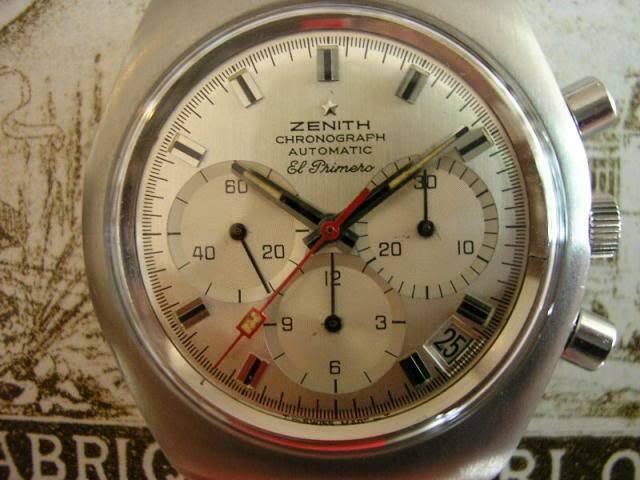 The Zenith El Primero movement was revealed in 1969. It was at that time the first – or to be precise and not to engage long fights between collectors – one of the first automatic chronograph movement – together with the Heuer-Breitling-Hamilton-Buren Calibre 11 and the Seiko 6139. 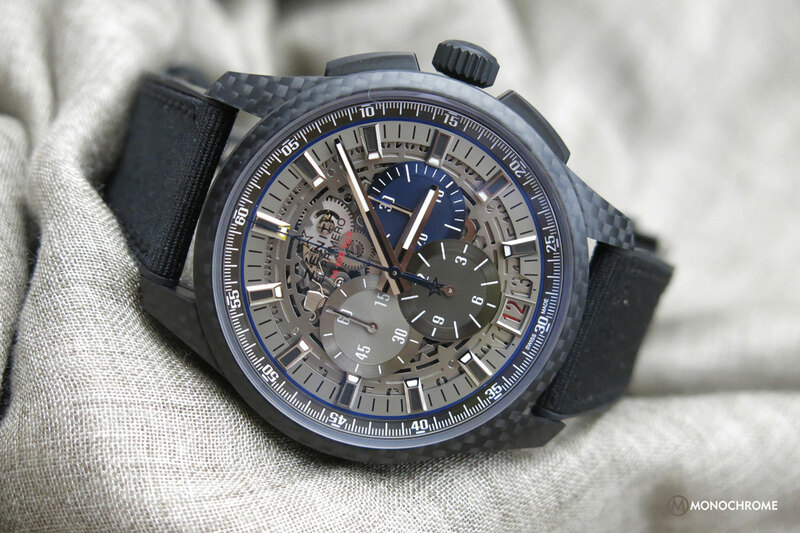 Even experts do not entirely agree on who was first and there are quite a few factors that count: developing, patenting, introducing, producing, delivering… whatever, the Zenith El Primero was and still is one of the greatest chronograph movements ever made. Compared to the 2 others, it has some unique and very likable features. It is an integrated movement (that is also the case of the Seiko; the Calibre 11 is a modular movement) with a central rotor (as Seiko, the Calibre 11 has a micro-rotor) with a column wheel (as Seiko, the Calibre 11 has a cam mechanism). What’s specific though? Compared to the 2 competitors, it was the only and still is one of the few chronograph movements to come with an escapement that vibrates at 36,000 vibrations per hour, or 10 ticks per second. It’s a so-called high-beat movement – that is supposed to be more precise. 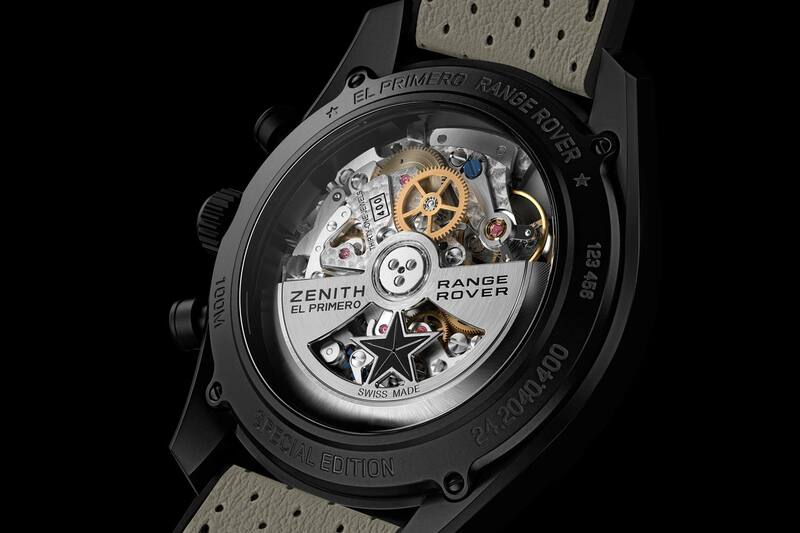 The new El Primero Range Rover Special Edition comes in a 42mm matt black ceramised aluminium case (a nod to the Range Rover chassis) that is waterproof to 100 meters. 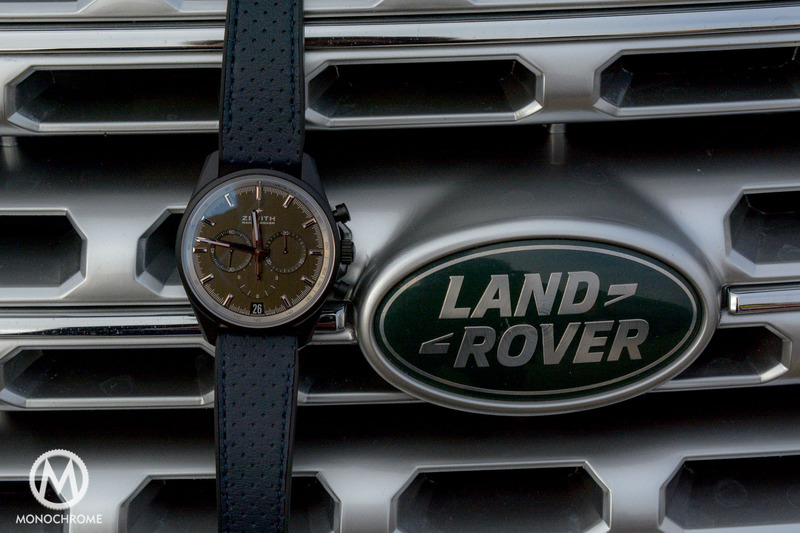 The brushed grey dial bears the inscription “Zenith Range Rover” underneath the Zenith star shaped logo. The hands and hour-markers are rhodanized and come with luminescent filling, and all that is visible through the cambered sapphire crystal. 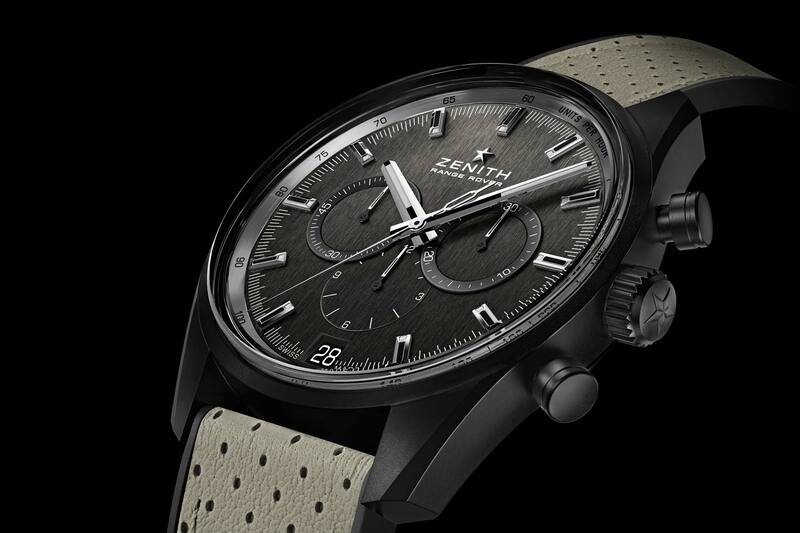 Attention to details is something that we at Monochrome expect from watches in general, and especially from watches in this price segment, and that’s what Zenith delivers. 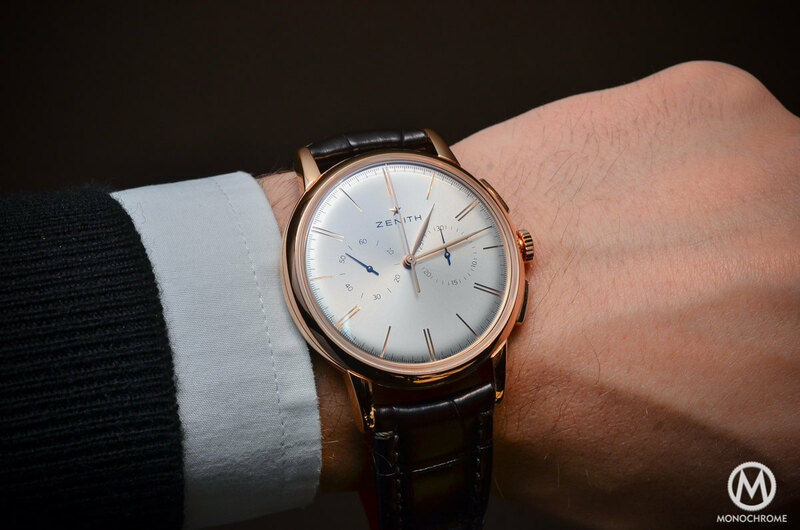 For instance the date wheel is black, with white numerals, and this very nicely matches with the entire dial. The watch comes on a rubber strap coated with ivory-toned perforated calfskin or blue perforated calfskin, and we can see the resemblance with the leather seats in the latest Range Rover. The strap is closed by a triple folding clasp in DLC-treated titanium. 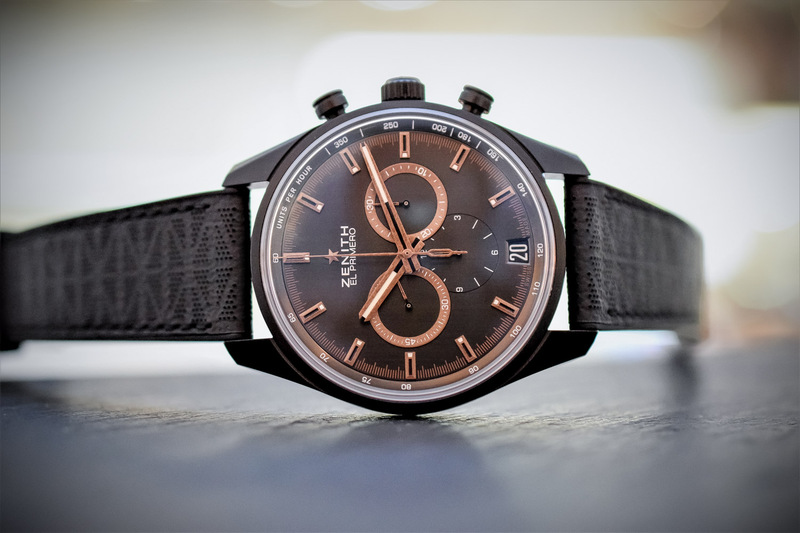 The caseback, or to be precise, the metal part of the case back that holds the sapphire crystal inset, is engraved with “El Primero Range Rover / Special Edition”. Through the sapphire crystal you can see the rotor that has been engraved with the Zenith and Range Rover logos, and of course the automatic El Primero 400B movement. 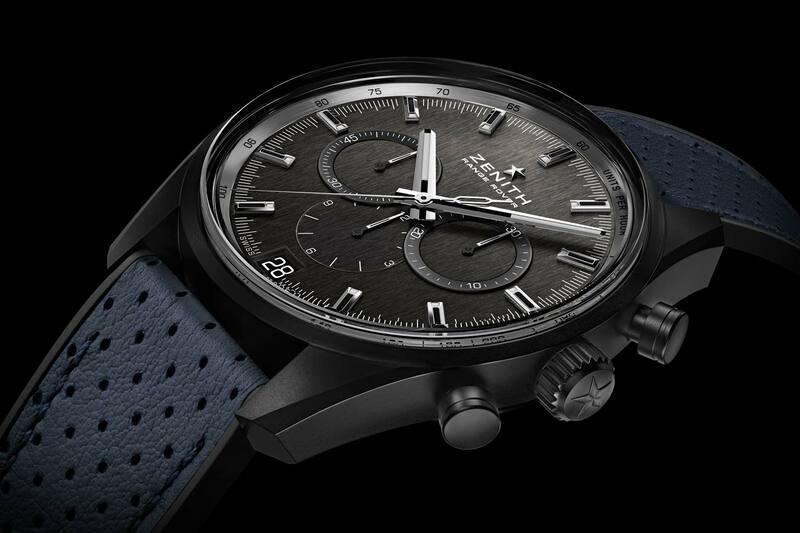 The El Primero 400B movement has a beat rate of 36,000 vibrations per hour, and this enables the chronograph to measure time intervals with a precision of a tenth of a second! The chronograph functions are being actuated by the integrated column-wheel, a sign of the movement’s acclaimed pedigree. 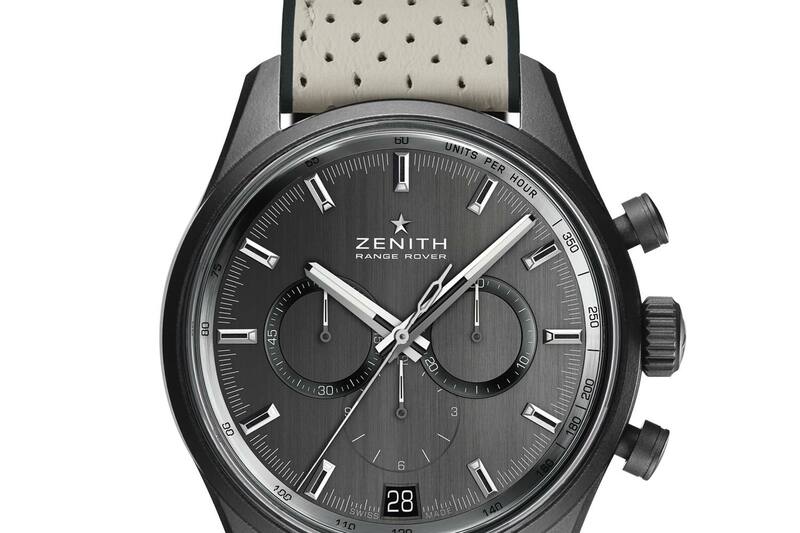 To summarize this: one of the best automatic chronograph movements on the market that now comes in a black ceramised aluminium case, topped off by a lovely ‘clean’ brushed grey dial that looks very stylish.